Nothing like grabbing a good deal on Black Friday. But it’s hard to sift the good from the bad, unless of course it’s coming from a trusted provider. So, below I have included what I believe are the most relevant deals going over the Black Friday period for Internet Marketers and online business owners in general. Remember to share these deals so others can take advantage of them too ;). Thrivecart has been my shopping cart weapon of choice for about 6 months now and it just gets better as time goes on. If you’re currently paying $67, $97 even $197 a month for your shopping cart solution this will save you HUNDREDS in your first year alone. Click here to be taken to the offer. They will host your WordPress website, but THEY are the ones that deal with all the techie, confusing, headache inducing stuff. Allowing YOU to concentrate on running your business, safe in the knowledge that they’re handing all the “behind the scenes” stuff for you. Currently on a web host giving you headaches, bad support and slow loading? This well established web host offers fantastic pricing, fast servers and of course support that are quick to respond and know what they’re doing. And just now you can grab their annual hosting packages at 70% off their usual price. You know I’m all about securing your business right? Well, have you ever stopped to think about the data you store in your home on your PC or laptop? Imagine that out of the blue your hard drive crashed, and you had no backup to recover from. Bad news and then some. Chances are, you’ve now lost years worth of work, client information, programs, software…the list is painful and endless. ACRONIS, who I’ve used to backup my own stuff at home makes it super simple to backup all your data, just in case the worst ever happens. And right now they’re offering up to a massive 50% off their award winning True Image software. The flagship of all creativity is having a Black Friday blowout. They’re known for their specialist graphics and design software and exceptional quality. One thing that stops many getting started with Adobe is the price tag for entry. Well, for a short time, this doesn’t need to be an obstacle anymore. 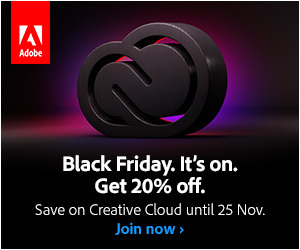 If you’re quick, you can lock in a lifetime 20% off their creative cloud which includes ALL the software you could possibly need. 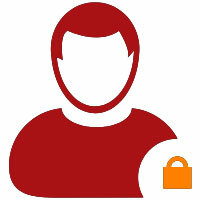 Not to mention tutorials, templates and access to the amazing Adobe stock as well.